Most of you have heard that the legislative effort to extend the Residential Energy Tax Credit (RETC) or replace it with another residential solar incentive was not successful for 2017. While we negotiated a very good package that balanced the needs of the industry and solar customers with the needs of the state, one or two legislators felt that without a more stable revenue approach for the state, they could not support any tax credits, no matter how small (ours would have had a $2.7 million impact on the current budget). We had terrific champions, we had great grassroots support (over 200 people make calls or sent e-mails on July 3 alone as we entered the final days of the session. All of that combined kept us alive all the way to the end. But we still fell short and are now trying to determine next steps. In the immediate future, your customers should know that the RETC expires at the end of 2017 (not only for solar but also for efficiency). Energy Trust of Oregon has a very good technical overview. Next, we have another opportunity in February 2018 in the legislature's short session. Because we had such a good, balanced package, we're looking to see if the feeling about overall revenue and tax credits would be the same in 2018. It may not be. Anticipating another attempt in February 2018, we are starting to build a bigger grassroots base to add to the already impressive one we had this session. Many Oregonians likely never really thought that the legislature would actually take away help for people to invest in solar and clean energy, especially after 40 years and especially as climate change has become such a driving concern for Oregonians. You can help gear up for 2018. We had already planned an Oregon Solar Celebration for July 20 and while there is a lot to celebrate about solar, we cannot celebrate our legislature letting us down. So the celebration will feature a Rally for Solar and Clean Energy to start the campaign aimed at the February 2018 session. 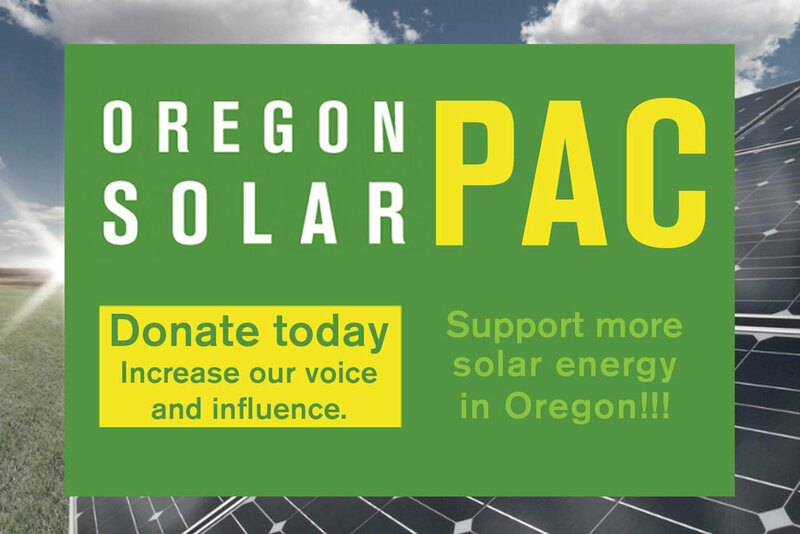 Also, you can start to circulate the online petition so that Oregonians can add their name to the effort to re-establish solar and clean energy incentives. There's no way around it. 2017 is a hard loss, especially after so much hard work by so many people. But we have a path forward. A key benefit of solar is that it helps with resiliency and solar professionals and advocates are nothing but resilient. We have seven months to prepare for the short session in February 2018. Let's work to build our network and come back even stronger than we were this session!